SERIOUS BLACK, the new band featuring Roland Grapow (MASTERPLAN, ex-HELLOWEEN), Thomen Stauch (ex-BLIND GUARDIAN), Mario Lochert (ex-VISIONS OF ATLANTIS), Dominik Sebastian (EDENBRIDGE), Jan Vacik (ex-DREAMSCAPE) and vocalist Urban Breed (ex-TAD MOROSE), will release its debut album, "As Daylight Breaks", on January 20, 2015 via AFM Records. The group will hit the road on a European tour with HAMMERFALL in January/February 2015. 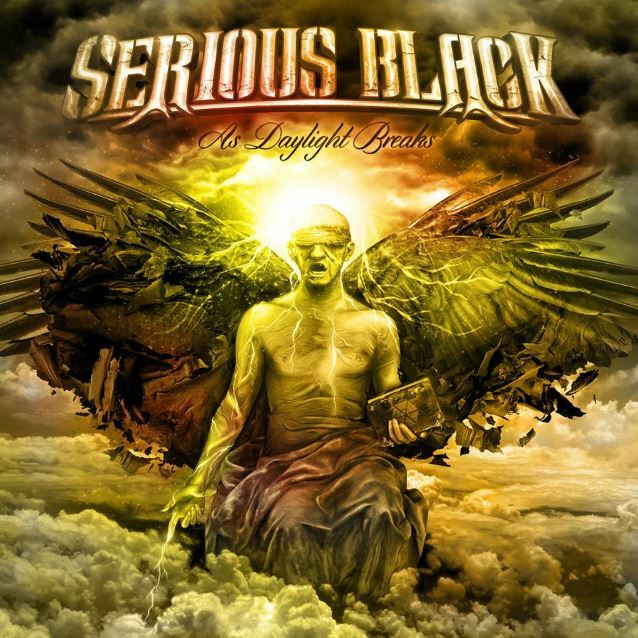 The lyric video for the SERIOUS BLACK song "I Seek No Other Life" can be seen below.